With football season rapidly approaching, you might be thinking about advertising get togethers, local football games, or maybe the big NFL game at your favorite sports bar that guarantees to have every big game on every big screen! If so, you’ve come to the right place. This article will highlight five of the best football flyer templates that you can find, including a few free options and a few premium options so that you can decide which is right for you. If you’re using Microsoft Word, you might want to head over to Microsoft’s Office website, and check out their 100% free Football Party Flyer. With a high quality image background of a ref on the sidelines, everyone will hear your point loud and clear. The only downside is that the design is inherently ink intensive, so if you’re looking for something easy on your printer, this one might not be for you. Must Have Menus offers an absolutely crazy amount of football flyers if you’re looking for mass production. While a lot of these are designed to be menus, their overall layouts are versatile, eye-catching, and absolutely fantastic. With a free trial, you get one free template to use as you wish, and for $75, you get full access to any templates on their website for a year – restriction free! Below are three great options from Must Have Menus. 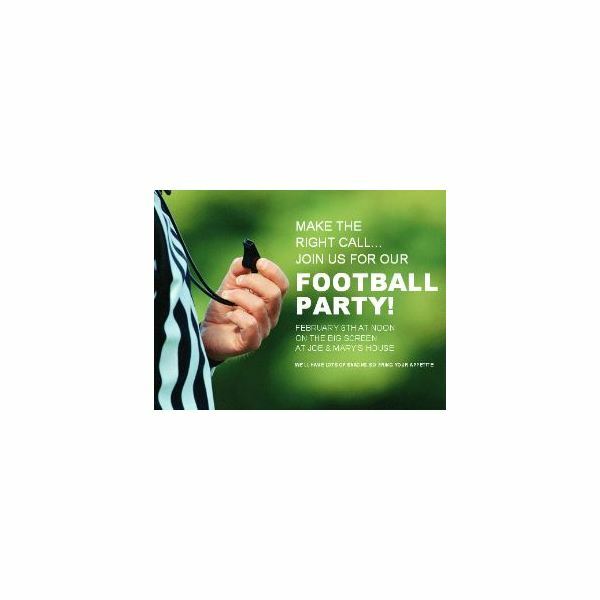 If you want something that will catch the attention of people while still looking professional, Football Party Flyer is the flyer for you! 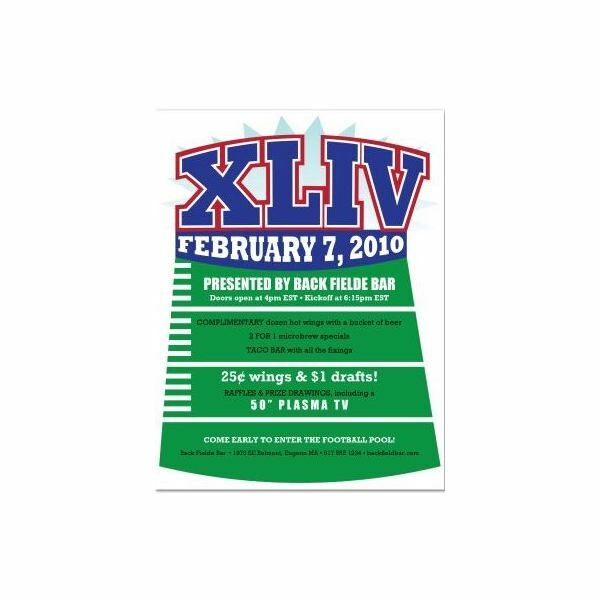 The bold header and date section works great for letting people know what they’re going to attend and when to attend it, and the football field layout makes sure people know what type of event you’re advertising. 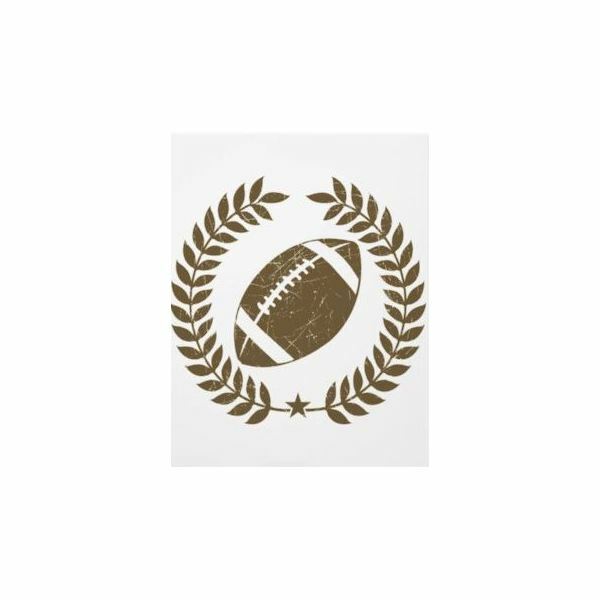 With a large football at the top of this template, no one is going to mistake your event for anything else. 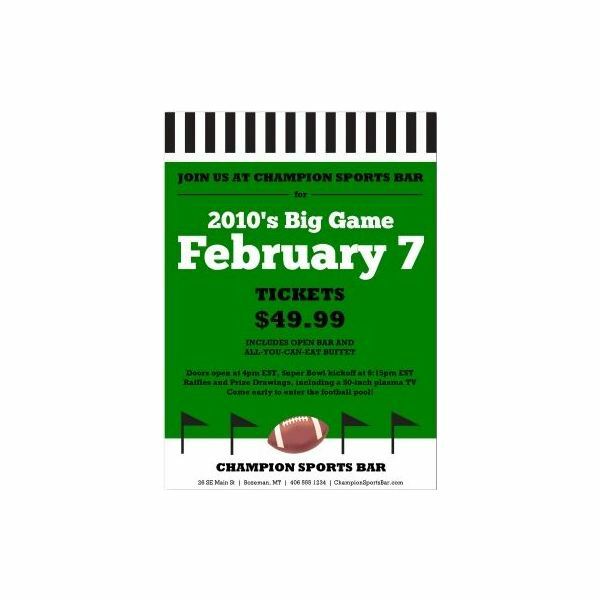 Sports Bar Flyer is versatile, with plenty of text fields that allow for complete customization. This football flyer template offers you full control over a professional, classic template. 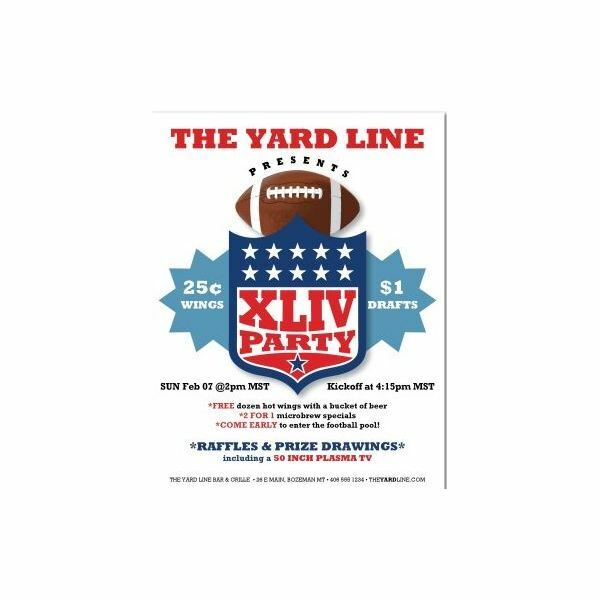 The Big Game Flyer is bold, simple, and straight forward. A bold green, black, and white theme is eye-catching while the football graphic makes sure that your point is not missed. Works great for restaurants, local football leagues, and football-related parties! Also works with Microsoft Word. While this one isn’t available for download, you can still have it customized and sent straight to your house! If you are looking for a vintage, classy background design to make a little information stand out, this Football & Olive Branch flyer is perfect. The brown design won’t obscure information when black text is printed over-top, but it still stands out and will get noticed easily! Both sides are fully customizable, and you can easily order these football flyer templates in bulk.